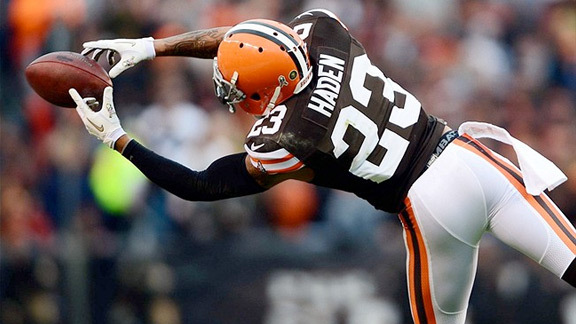 The Cleveland Browns are a team in major transition again in 2015. It's Mike Pettine's 2nd year as head coach, and already he's replaced the QB, the RBs, the WRs (Josh Gordon suspended), the TE, a couple LBs, a CB, and a Safety since his arrival. Unfortunately, last year's Manziel experiment has been a trainwreck, so the organization decided to bring in Josh McCown to steady the position. We don't see McCown leading this team to the playoffs, and don't expect much from the squad in terms of fantasy football value. The Browns passing game will again struggle with a new QB, with Josh Gordon suspended, and a bunch of new receivers in the mix. However, we expect the Browns to be a ball control offense, relying on RBs Crowell, West and rookie Johnson to lead a potent rushing attack. If you're looking for a sleeper, TE Housler may be a nice option due to Jordan Cameron's departure. Cleveland was a respectable defensive unit in 2014 in terms of points allowed (ranked 9th), but had their troubles keeping teams from gaining yards (ranked 23rd). To combat the problem, the team brought in veterans Randy Starks and Tramon Williams and drafted DT Danny Shelton. Look for the Browns to be a bit stronger on defense, but still be stuck on the field all game due to the team's offensive deficiencies.